My feet have straight lasts. When moving to cleats a decade ago, I wasn’t comfortable in any cycling shoe I tried. I was offered Shimano sandals with recessed SPD cleats and have worn such sandals cycling ever since. (I wear three pairs of socks if very cold)! I’ve been impressed with their durability. 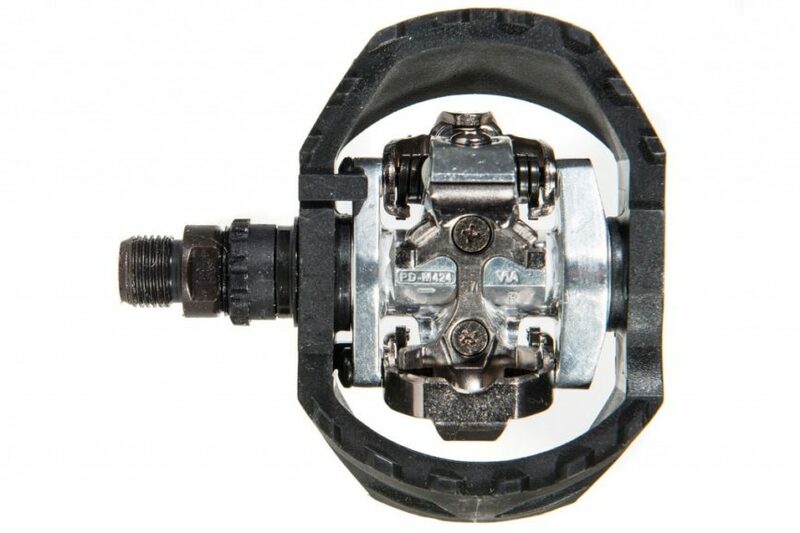 For pedals, the same shop recommended the Shimano PD-M424 with a resin surround (intended for mountain-biking). I’d done no research and am now so glad I bought these, because I can pedal comfortably for long periods in the sandals UNcleated, or in “civvy” shoes. I mention the sandals because they have a broad flat base. I’m unsure whether cycling shoes would be quite as comfortable when uncleated. So why cycle uncleated? With growing experience, including hearing many “war stories”, I find myself uncleating (BOTH SIDES!) at the merest sniff of trouble ahead. And I uncleat down a long fast descent: I don’t want my bike attached if I lose it! (I once somersaulted over a roadside barrier with bike attached. Fortunately, I was climbing, not descending). pedalling uncleated in the sandals to ease cramps in smaller toes (on long rides). A pair of PD-M424s weigh 472gm. Maybe that’s too much for those minimizing total bike weight, but it’s a great excuse when I can’t keep up! They cost $47 at several vendors.